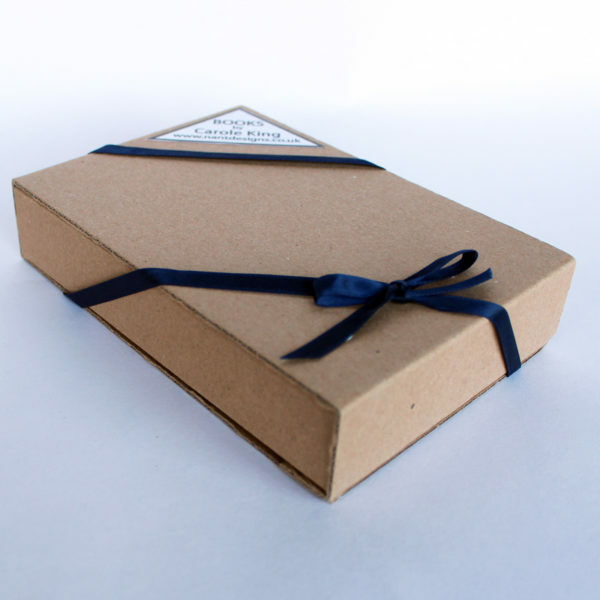 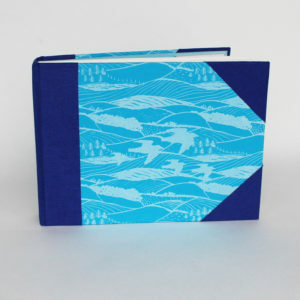 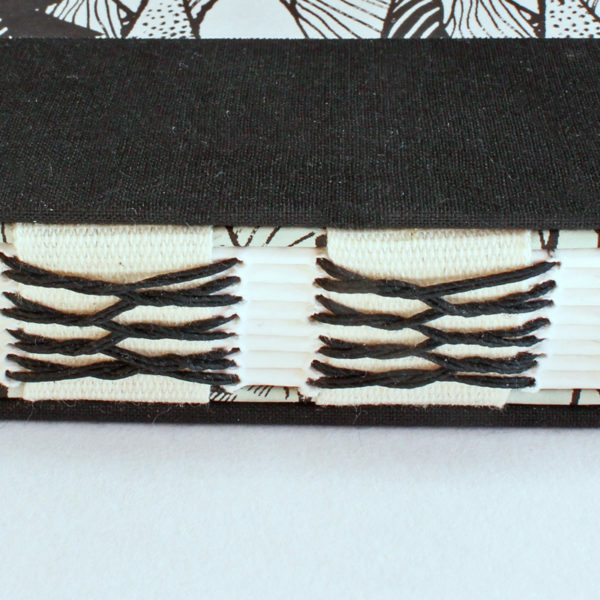 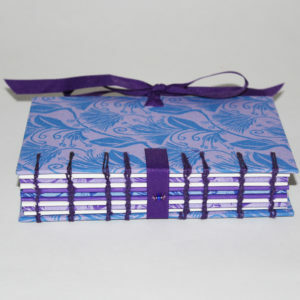 A5 Landscape format sketchbook with open spine binding. 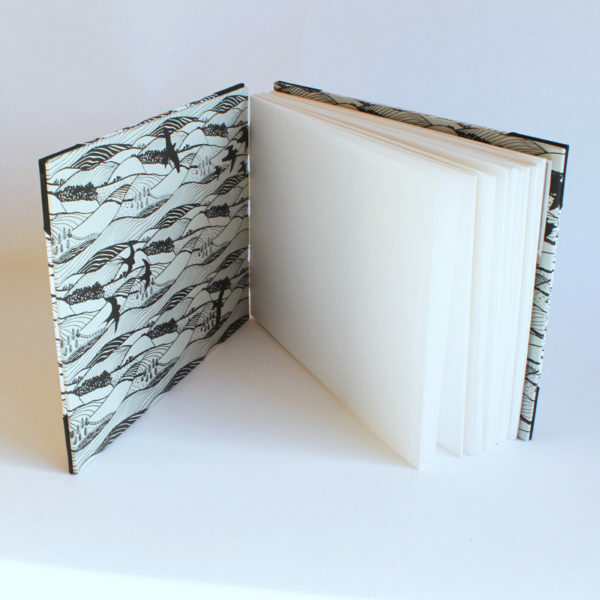 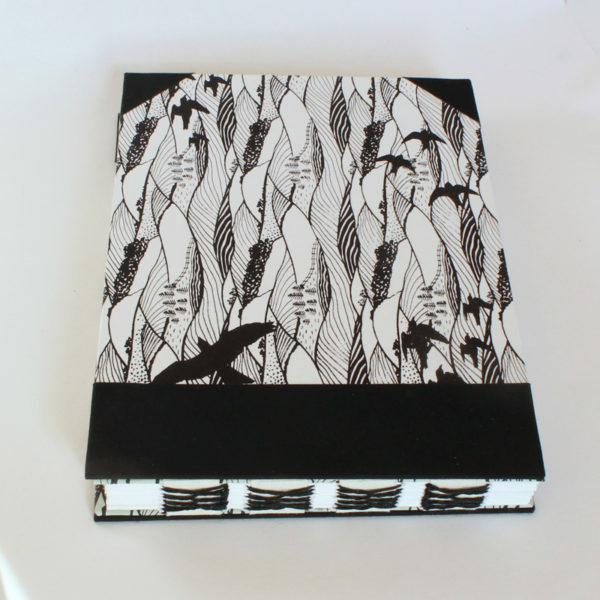 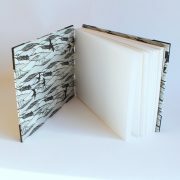 Hard back covers are bound inside and out with ‘Hills and dales’ design hand printed paper- black and white outside, pale grey and black inside. 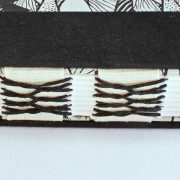 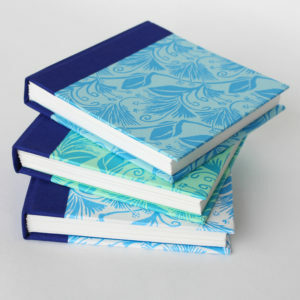 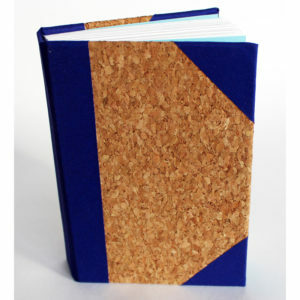 Black book cloth reinforces the corners and spine. 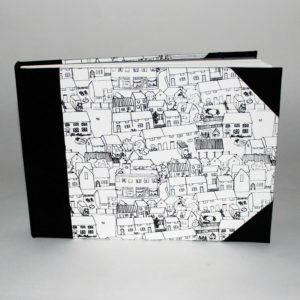 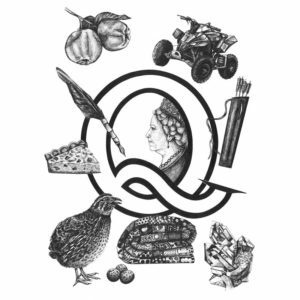 Paper is 64 pages of 140 gsm white , acid free cartridge suitable for all dry media and light watercolour/pen and wash.